SUDBURY, Ont. – SPORTS – The Thunder Bay minor midget Kings have a 2-1 record round-robin robin play at the second annual OHL Northern Cup in Sudbury. After dropping a 4-2 decision to the host Sudbury Wolves in their opener Friday, the Kings came back to pick-up a pair of wins Saturday by defeating the Soo Thunderbirds 5-2 and the North Bay Trappers 5-1. 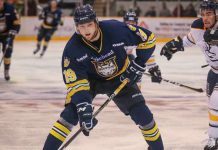 In the setback vs. Sudbury, Jeremy Dunmore and Noah Broughton scored for Thunder Bay while Jack Michaelis assisted on both tallies and Julien Lefebvre suffered the loss in net. Meanwhile, Dunmore and Michaelis both scored twice in the triumph over the Thunderbirds. Shaymus Stevenson supplied the other Kings’ goal in that contest with Alex Atwill providing a couple of helpers. Earning the victory between the pipes for Thunder Bay was Gage Stewart. Atwill tacked on two more markers and helped set-up another pair in the decision vs. North Bay. Adding singles were Dunmore, Michaelis and Braeden Duchesne with Lefebvre earning the win in goal. 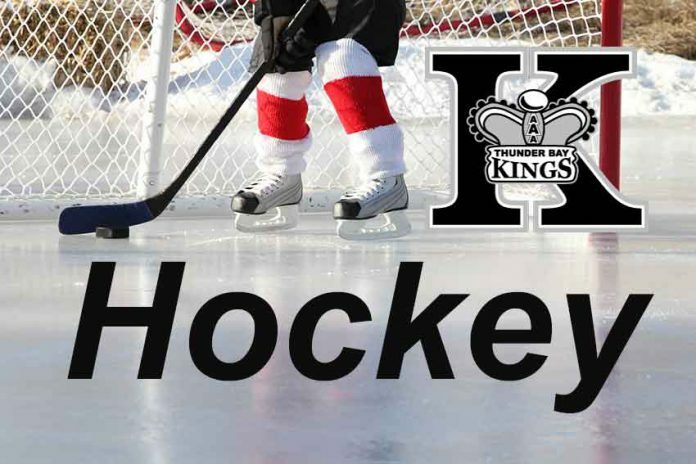 The Kings (2-1) will now meet the Thunderbirds (1-2) in semifinal action Sunday morning at 8:15 a.m. with the winner taking on either Sudbury (3-0) or North Bay (0-3), who square off in the other semifinal, in the championship game, which goes at noon.